My pick is White Hot Kiss by Jennifer L. Armentrout! I'll read anything that JLA writes. She's one of my favorite authors, ever. I've met her twice and she's just as nice in person as she is online. And this new series sounds so unique. I mean, gargoyles? Pure awesomeness. :) This is definitely one of my most anticipated reads of 2014! 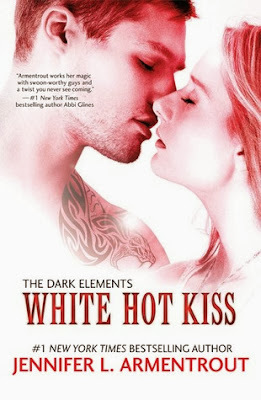 White Hot Kiss releases on February 25, 2014. This is a popular choice this week :) Awesome pick! Yes yes yes!! I am really excited about this! Thanks for sharing.